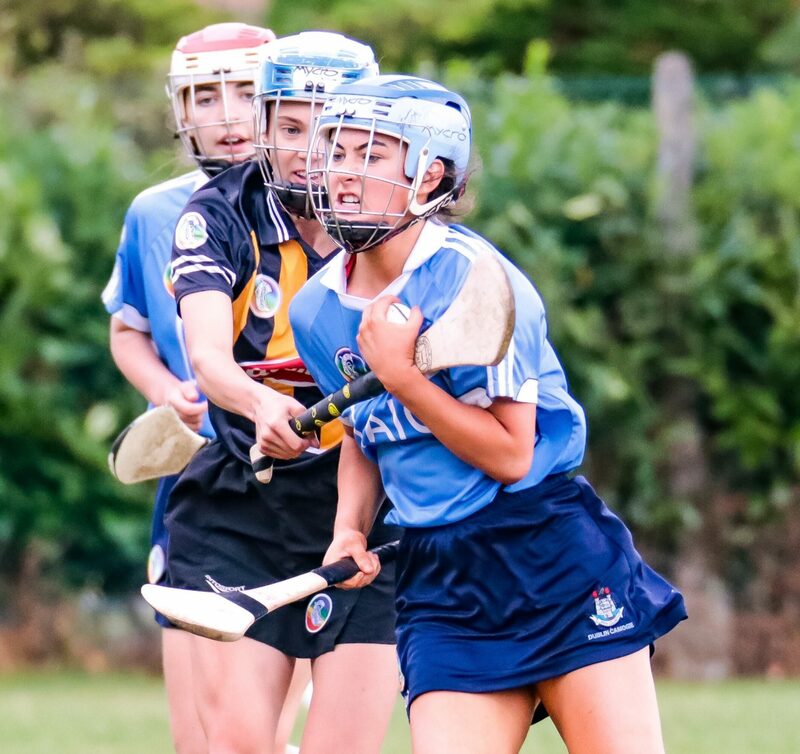 A late scoring surge sealed the Dublin Camogie U16A’s their place in the All Ireland Semi Final last Sunday in O’Toole Park. The second game in the Crumlin venue last weekend involved the Dublin and Kilkenny U16A’s with a semi final place at stake. The game was extremely competitive throughout and there was little between the sides as the game entered the final ten minutes. But Dublin powered to the finish and scored an unanswered 1-02 to secure the win with the all important goal scored by Phoebe Shannon. Kilkenny got off to the perfect start raising the first green flag of the game in the fifth minute scored by Marlise Flynn. Dublin were awarded a penalty in the tenth minute but the well struck shot by Ciara Clohessy just whistled inches the wrong side of the post. Dublin finally got on the scoreboard in the 14th minute with a fine point from Meadbh Hicks. Moments later another point arrived from Ciara Clohessy to leave just a point between the sides. The Kilkenny lead was back out to two in the 17th minute with an excellent effort from Grace Mullhall. Kilkenny almost pushed five ahead in their next attack, but a goal bound shot from Therese Donnelly was brilliantly saved by Dublin keeper Ciara Jones. Consequently that was to be Kilkenny’s last scoring chance as Dublin finished the half on top hitting four unanswered points. A superb point from Katie McDonald was followed by three pinpoint accurate converted frees by Anna Sullivan to give Dublin a two point halftime lead with the score 0-06 to 1-01. Dublin’s lead increased to six inside the opening nine minutes of the second half with a point each from open play by Ciara Clohessy and Caitlin Coffey. Either side of those points Anna Sullivan converted a 45’ and a free as Dublin threatened to pull away from Kilkenny. But the girls in black and amber weren’t finished yet and a quick 1-01 in the space of a minute by Grace Mullhall left just two points again between the teams. 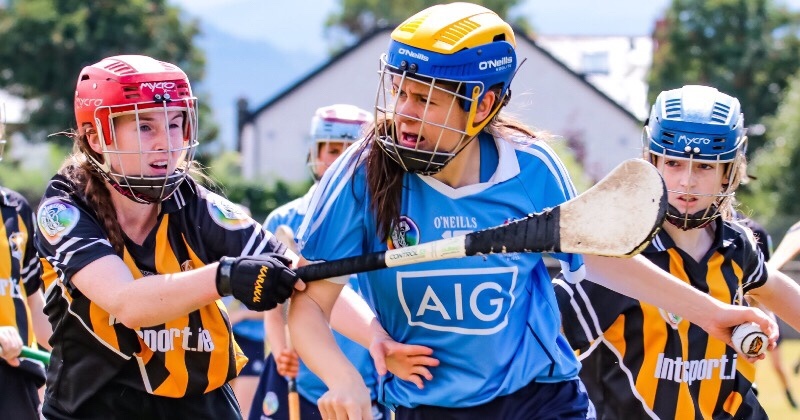 Dublin’s Anna Sullivan and Kilkenny’s Grace Mullhall swapped dead ball strikes and with ten minutes left the game was still there to be won by either side. Similarly though to the first half it was Dublin who ended the half strongest and another scoring surge followed. A successful effort from a free in the 50th minute by Anna Sullivan pushed the lead out to three points. In the 53rd minute that was doubled as Phoebe Shannon scored a priceless goal and a minute later the lead was seven thanks to Katie McDonald who hit an excellent strike right over the black spot. Neither side added to their tally in the final six plus minutes and Dublin secured their place in the All Ireland semi finals with a hard fought win.